I’ve grown weary of hearing from the irrational dead enders in Hillary Clinton’s cult of personality. I’m tired of their racist demands that either Obama fold his candidacy and yield to her superior experience or accede to their arrogant demands that she join his ticket. I am deeply offended by their unwillingness to accept Hillary’s defeat and their oft repeated intention to cast a vote for John McCain instead. Moreover, it chaps my hide for the faux feminists in Hillary’s suicide cult that claim to be insulted by Obama’s consideration of another woman. Moreover, nobody can tell me that a woman Governor who wins four statewide elections in a red state and still manages to govern progressively and with compassion and common-sense shouldn’t be considered to become the first female Vice President of this country. 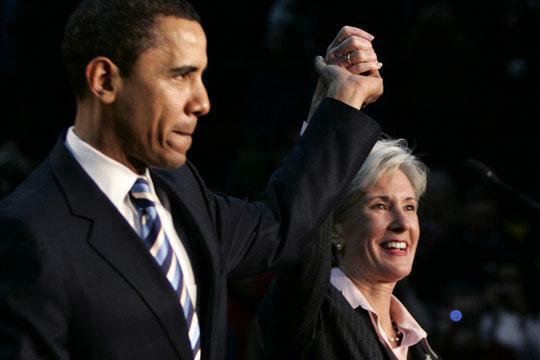 Kathleen Sebelius is the total package and she happens to be a woman. I share the goal of the White House Project and the feminist community. I supported Carol Moseley Braun when the bulk of the faux feminists pretended that she was neither qualified nor viable. She was both and would have been able to prove that with their support. I didn’t support Hillary Clinton for reasons I’ve already stated in full and won’t rehash them here. But I am sincere in the belief that Obama’s running mate must be a woman. The time has come for a woman to be next in line to become President of the United States and Barack Obama would do well to text-message the name of Kathleen Sebelius to an anxiously awaiting public today. After two decades in public life, she has just as much to offer as Hillary Clinton, if not more. During her time as Governor of Kansas she has twice reached across the aisle to chose a Republican as a running mate and has governed from the center and been productive while dealing with a Republican legislature. She protected a woman’s right to chose by vetoing draconian legislation, protected the environment by blocking smog producing coal plants, balanced Kansas budgets without raising taxes, protected funding for K-12 education, and as Insurance Commissioner for 8 years, protected consumers by preventing the state’s Blue Cross non-profit from being bought up by a managed care conglomerate that would have jacked up premiums. It’s hard for me to understand why women who helped Hillary break the glass ceiling in American politics wouldn’t at least want another woman to be considered if their favorite daughter didn’t make the cut. Otherwise, what was the damn point of their efforts? Hiliary’s feaux feminists were the same people who excused Bill Clinton’s serial philandering and humiliation of their feminist icon and now they have the temerity to attempt to crucify Barack Obama, a man who has never publicly humiliated his wife by straying, on the cross of sexism. Please tell me that you see the racist double-standard in that. I’m with Robert Schlesinger on this one. It is insulting to all the women in public life to suggest that all they bring to a ticket is gender and particularly insulting to the woman who made the final four, Kansas Governor Kathleen Sebelius. Moreover, to answer Schlesinger’s rhetorical question of whether the women’s movement should be subsumed to one woman’s movement? I think the answer is clear. It cannot be and should not be. A debate moderated by Keith Olbermann will be held tonight at 7:00 pm on MSNBC. I expect it to be off the chain. Stay tuned to this space to for my impressions after. 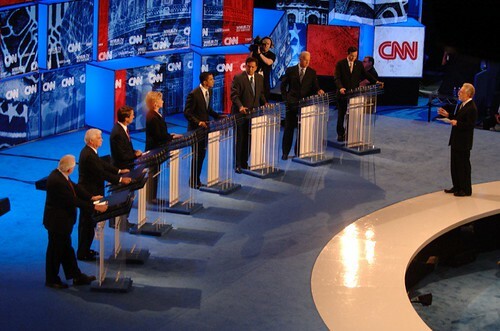 My initial impressions are these: Obama won the debate by counterattacking the Dodd and Hillary tag team on Pakistan. Regardless of the sensibility of forecasting a strike on Pakistan necessitated by “actionable intelligence,” and Musharraf intransigence, people are ready for aggressive military action against the 9/11 attackers since the B.S. in Baghdad hasn’t worked. Hillary’s widenening poll lead is clearly frustrating her rivals and some, like Chris Dodd, seem to be positioning themselves to be a part of the Clinton troika as Vice President. The question on health care from the disabled retiree was very moving and brought the entire stadium to its feet. I was moved to tears on that one and could really feel his pain. “But for the grace of God go I,” I thought. Juxtaposed with Hillary’s refusal to ban pack contributions from her coffers, it was a real stark contrast and underscored the corrupt nature of our politics and the seeming powerlessness of our people to do something about it. After it was all over and I had a chance to reflect, I feel absolutely dejected. There is almost nothing I can do, it seems, to flip the script and the corporate strings that will inevitably entangle the presumptive nominee. 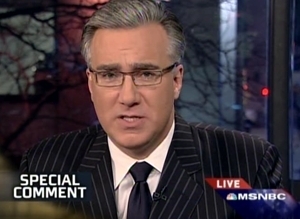 Keith Olbermann was full of good humor but it lacked the pizzazz of one his comment monologues. I’m almost ready to say that we would be better off as a nation with him leading us. Most of the so-called candidates just don’t impress me. This will probably be the last debate that I watch for the balance of the summer because this race is bout’ over. And now t is evident that it no longer matters to him whether that effort to avoid the judgement of the people is subtle and nuanced or laughably transparent. Sen. John Kerry called him out Monday. He did it two years too late…Senator Kerry , as you well know, spoke at a college in Southern California. With bitter humor he told the students that he had been in Texas the day before, that President Bush used to live in that state, but that now he lives in the state of denial. From Olbermann’s editorial, “We have handed a blank check drawn against our freedom to a man who has said it is unacceptable to compare anything this country has ever done to anything the terrorists have ever done. Keith Olbermann is the Bomb, for real though.